Dr. Reddy’s Laboratories Ltd. ((BSE: 500124, NSE: DRREDDY, NYSE: RDY), along with its subsidiaries together referred to as “Dr. 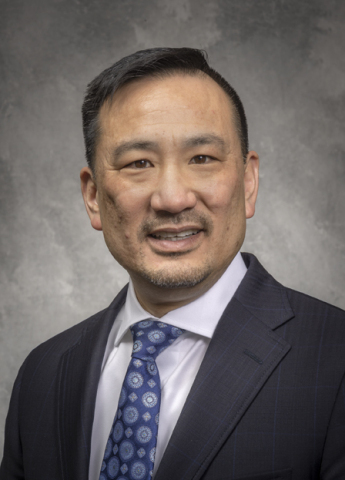 Reddy’s”) today announced the appointment of Marc Kikuchi as Chief Executive Officer, North America Generics. As part of the Dr. Reddy’s senior leadership team, he will be responsible for the Company’s North America Generics business and will be based in Princeton office, U.S.
Marc has 20+ years of experience in the Pharmaceutical Industry with extensive knowledge and understanding of Generics. Marc joins Dr. Reddy’s from Zydus Pharmaceuticals, Inc. where he served as CEO, Americas since 2016. Prior to joining Zydus, he held professional leadership roles of increasing responsibility with AmerisourceBergen Corporation, Medrad Inc., PRTM, Johnson & Johnson and Incyte Pharmaceuticals. Marc holds a Bachelor’s Degree in Molecular and Cell Biology with a Biochemistry emphasis from the University of California at Berkeley and Master of Business Administration from Carnegie Mellon University in Strategy, Marketing, and Operations Management. Disclaimer: This press release may include statements of future expectations and other forward-looking statements that are based on the management’s current views and assumptions and involve known or unknown risks and uncertainties that could cause actual results, performance or events to differ materially from those expressed or implied in such statements. In addition to statements which are forward-looking by reason of context, the words “may”, “will”, “should”, “expects”, “plans”, “intends”, “anticipates”, “believes”, “estimates”, “predicts”, “potential”, or “continue” and similar expressions identify forward-looking statements. Actual results, performance or events may differ materially from those in such statements due to without limitation, (i) general economic conditions such as performance of financial markets, credit defaults, currency exchange rates, interest rates, persistency levels and frequency / severity of insured loss events, (ii) mortality and morbidity levels and trends, (iii) changing levels of competition and general competitive factors, (iv) changes in laws and regulations and in the policies of central banks and/or governments, (v) the impact of acquisitions or reorganization, including related integration issues.